The vast majority of Internet sites are fully signed up members of the online affiliate program industry. It is a huge business based around an extremely simple premise, the simplicity is optimised by the continued success of the websites that have taken up the affiliate challenge. Wherever advertising appears on a site on the Internet it is almost exclusively part of an affiliate program. The affiliates are rewarded by sites for bringing in new customers or generating extra sales, with either a one-off payment or a percentage scheme. Many of today's booming online industry owe a great deal to the success of their affiliates. 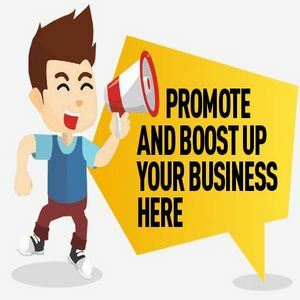 Online shops, auctions and gaming sites have all utilised the affiliate programs to maximise individual sites visibility and to generate extra revenue. Online gaming and more particularly the poker industry have been one of the largest benefactors of the affiliate program. Like so many of the online industries, poker sites have utilised the program to maximise their reach and to optimise their clientele. The affiliate programs work with sites commissioning other sites to host advertising. The poker site does not need to pay their affiliate until a new customer is generated by the affiliate, a player that is identified by a unique URL. By marking out individual players and where they have emanated from, the affiliate program site or the poker room can track the progress and the earnings of individuals. Being able to monitor the progress of an individual customer is a particularly relevant to the poker affiliate program due to the way in which it is run. In a poker affiliate scheme an affiliate has the opportunity to earn a percentage of the money generated for every player that they encourage to join. Unlike so many of the other affiliate programs, this share of a players money is not limited to a single purchase or a few months, it is for the entire lifetime of that player. It is through this that the poker affiliate market has become so popular with a number of sites, both new and established. By earning a cut of a poker sites revenue the affiliates can earn significant amounts of money spread over any amount of time. This ingenuity and increased reward system has not only lead to a huge rise in the affiliate markets income and membership quota, but also in the revenue of the poker sites that they represent. Affiliates are aware that the more players they attract the more money they make, so it is in all of their best interests to attract as many as possible. With such a huge spread of affiliate sites, this mass-marketing program has enabled the poker sites to reap the rewards and become market leaders or great pretenders.